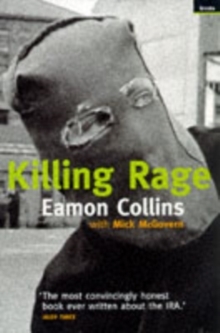 This is an account of how an angry young man can cross the line that divides theoretical support for violence from a state of 'killing rage', in which the murder of neighbour becomes thinkable. Over 3000 people have died in Northern Ireland since 1969, and most of them have died at the hands of their neighbours. The intimacy of the Ulster conflict, what it means to carry out a political murder when in all probability the victim is personally known, or lives in a nearby street, is described accurately by an honest participant. The book does not attempt to soften the impact of the events it describes through euphemism or rhetoric. It is a truthful picture of the brutality and waste caused by the IRA's unwinnable campaign, and of its human consequences. It is also a self-portrait of the despair and disintegration, the hardening to conscience and grief, that accompany political violence.